Do you guys like seafood? Okay, it’s not very funny now but you know you loved that joke when you were a kid. It’s the protein that I eat the least. Anddd I have no idea why. I’m going to try and eat fish more often. And now that I’ve written/said it out loud and put it out on the interwebs, I’ll actually do it, right? 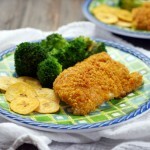 Let’s start with this recipe: Plantain-Crusted Haddock. 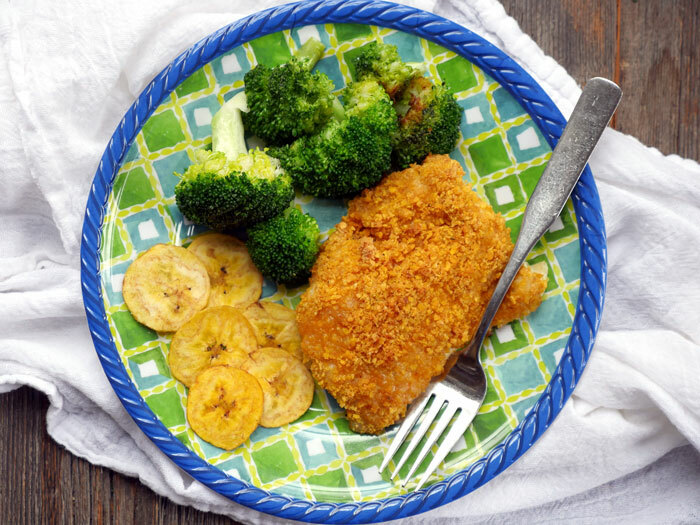 It’s the perfect solution for those of us gluten-free eaters who want breaded fish. 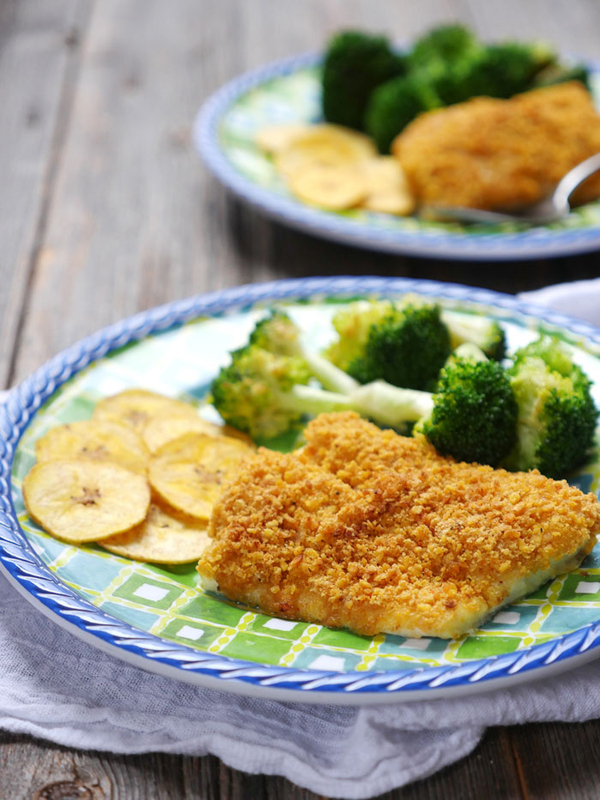 It’s a light and tender and flaky fish with a crispy and crunchy coating… mmmm bready fish. This is the perfect winter fish recipe. Because, let’s be real, there’s no way you’re going to turn your oven to 500F in the summer. Put the plantain chips in a food processor and finely grind. Place into a shallow bowl. Dip the top of the fish into the whisked egg, letting any excess drip. Then place the top of the fish into the bowl with the crushed chips. The top of the fish should be well coated. Repeat with remaining pieces of fish. Bake at 500F for 10-12 minutes or until the fish easily flakes. 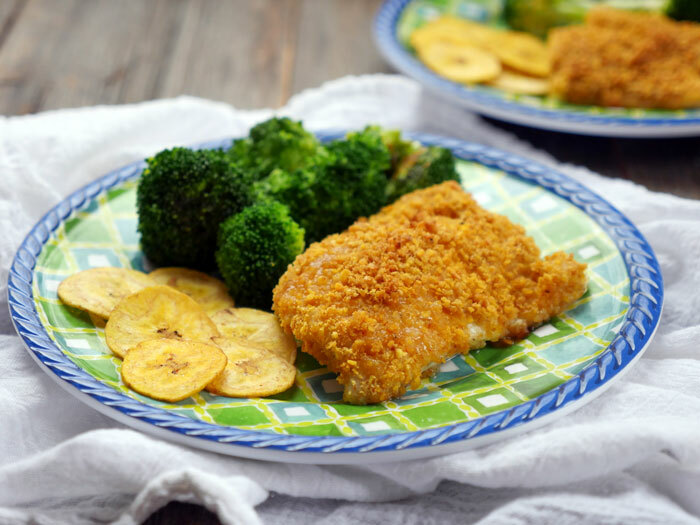 This recipe calls for only one side of the fish to be coated with plantain chips, but you can easily double the amount of plantain chips to coat both sides. This recipe looks so nice and easy! Guess I better try it before it gets too hot down here in Texas to run the oven. Question about the plantain chips…do you make them yourself in a dehydrator or buy store bought? If store bought, do you have a brand you like? Made this tonight. What a wonderful way to to make a crispy coat. I used TJ’s plantain chips too. My husband doesn’t love seasfood and inhaled this fish 🙂 Thanks so much for a yummy, quick recipe! Sher, that’s awesome! I’m so glad you and your hubby liked the recipe 🙂 Thanks for letting me know how it turned out for you guys!